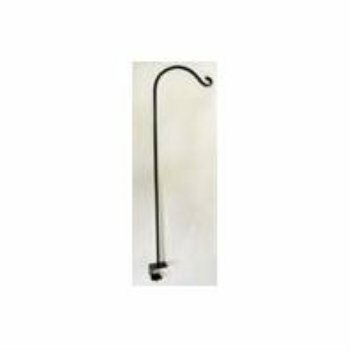 Package of 6 Curved Deck Rail Hook Black 36 Inch Hang a beautiful fern or other plant, or perhaps a bird feeder with this handy adjustable deck hanger. Comes with clamp for on a 2x4 and 2x6 rail. Has a upturn hook that is 36 inch in length and 3/8 inch stock. Comes in a black powder coat finish. If you have any questions about this product by Hookery, contact us by completing and submitting the form below. If you are looking for a specif part number, please include it with your message.